Canadian Online Pharmacy Is there a generic option for Actonel? Canada Pharmacy Online > Blog > Is there a generic option for Actonel? Is there a generic option for Actonel? Risedronate is the generic name of Actonel. Rrisedronate Sodium belongs to a group of drugs called bisphosphonates. It is used to treat osteoporosis, also is used in the treatment of Paget's disease. 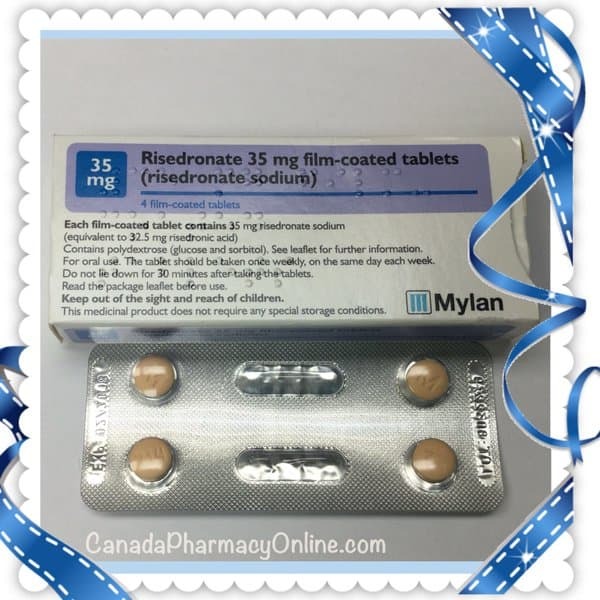 Our Canadian pharmacy current stocks generic Risedronate manufactured by Mylan in Canada. Risedronate is also called Risofos made by Cipla and sometimes comes from different manufacturers. Risedronate is available in 5mg, 30 mg, 35 mg, 75mg, and150mg film-coated tablets. Call us 1-866-920-3784 to order Actonel online safely from the largest fully licensed online pharmacy.